Consider this. Each day before we awake, before the soles of our feet even touch solid ground, the daily demands and obligations of our lives anxiously await our attention. Without so much as a second thought, we effortlessly become immersed within the ebb and flow of catering to our responsibilities, most often neglecting our greatest responsibility of catering to our own self-care. Bringing an exciting new experience into our lives, self-care is yours to discover each month in the relaxation and retreat of Yogi Surprise. Thank you to the team from Yogi Surprise for the courtesy of sponsoring this feature with promotional subscription for editorial content purposes as a brand ambassador. "Yogi Surprise is a monthly care package designed to complement your way of being — it’s like a retreat in a box! Each box offers the perfect way to nourish and support your mindful life of movement, from each wakeful sun salutation to inspiring evening reflections." Yoga bridges the connection between our minds and bodies to bridge our journey toward spiritual awareness. Incorporating into our lives their core values of health, connection, and joy, Yogi Surprise nurtures the celebration of ways to "love yourself". Opening and receiving handcrafted yoga accessories, natural cosmetics, organic, herbal snacks, and creatively curated goodies from a community in tune with the empowerment and enlightenment of your body and soul. That's the beauty of discovering relaxation and retreat with Yogi Surprise. 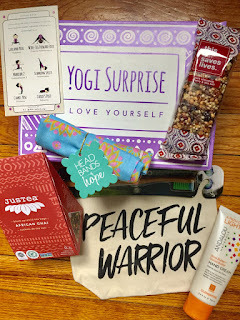 Time spent indulging in the mindful spirit and energy received from my Yogi Surprise subscription box this month shined love and light in support of the Africa Yoga Project. In the spirit of giving back, as you love yourself, remember to love others. A portion of the proceeds from the month were donated to benefit the work that the Africa Yoga Project does to deliver well-being in and from Africa. Love yourself. 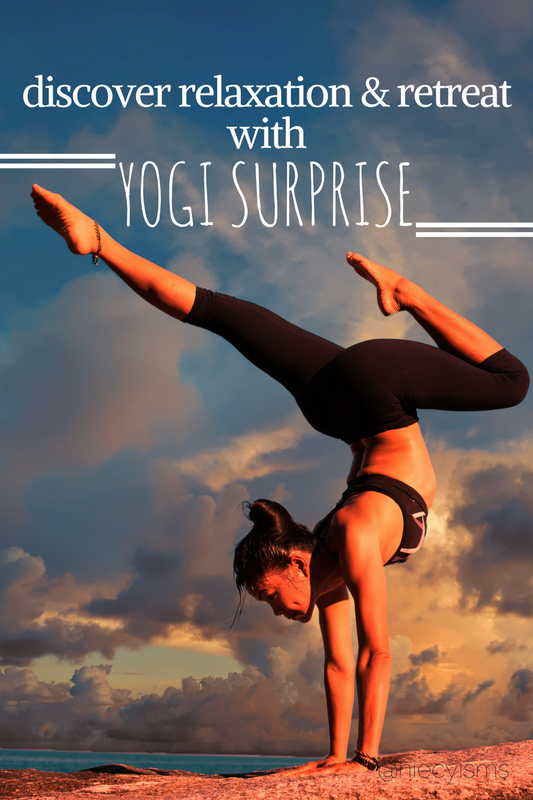 Now is the time for you to discover relaxation and retreat with Yogi Surprise.